Nitro Games, a leading Finnish developer and publisher of mobile games, launches its latest game ”Medals of War” in Ireland and in Philippines. Previously the game has been available in Sweden and in the Netherlands. The game performance and user acquisition results of Medals of War have been promising, which is why the company is taking the next step in entering new markets. Ireland was chosen because it represents a native English speaking audience and Philippines gives the company the opportunity to monitor its realtime multiplayer technology and to validate how the game resonates with Asian audience. "We’ve progressed with the launch of Medals of War during this summer as planned. With several updates, we’ve introduced new key features to the game and collected a lot of promising feedback from our players. We’re confident in expanding the game to new markets.” says Jussi Tähtinen, CEO and Co-Founder, Nitro Games Oyj. These two new market releases are part of Nitro Games’ MVP process, where the game development is closely tied to collecting actual market data and community feedback as the game is being further developed. 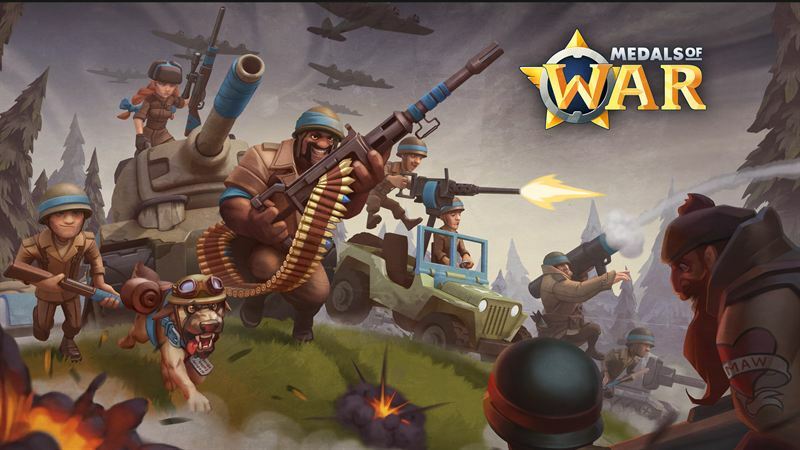 Medals of War is a mobile strategy game with a WW2 fantasy setting. It’s a community-focused game that brings players together with their friends. Players are matched with each other in intense PvP combat – In real-time! The aim is to level up and hone your skills to be the best commander in Warland. Nitro Games is a free-to-play mobile game developer and publisher with a decade of experience in developing games for the mid-core user segment, mostly focusing on the genre of strategy games. The Company focuses on producing games with high production value and high revenue potential for smartphones and tablets. With Nitro Games’ powerful NG Platform and NG MVP-process, the Company is able to do market validation with new game prototypes after only a week of development. Historically, Nitro Games has developed games such as East India Company, Commander: Conquest of the Americas, Pirates of Black Cove and Raids of Glory. Nitro Games’ shares are listed on Nasdaq First North Sweden with the ticker NITRO, and the company’s Certified Adviser is Augment Partners AB, phone: +46 8 505 651 72. www.nitrogames.com.